The actor is in the wrong business for all the right reasons. He gets candid about doing interviews, drama, dogs and his new film, Mary Magdalene. 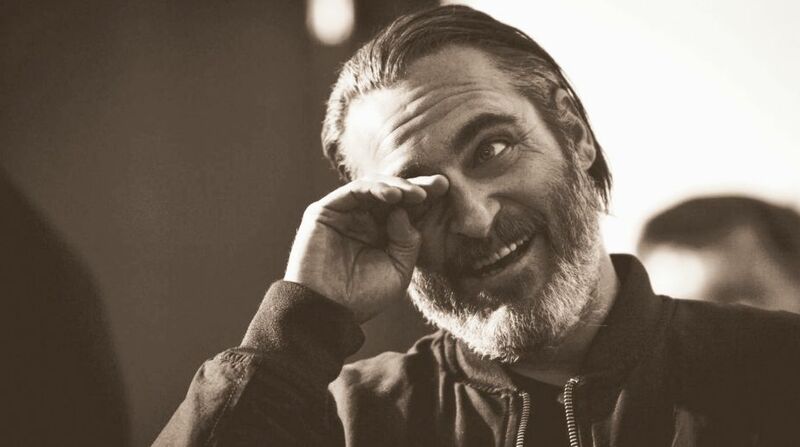 Joaquin Phoenix lights another cigarette and stares out the window of the hotel suite, where snow is falling but disappearing before it reaches the ground. He doesn’t strike me as a very still person anyway, but is particularly restless when asked about himself, or how’s he doing – in a macro, life-appraisal sense. He is in good spirits when I meet him though, despite the fact that interviewing him feels akin to taking him hostage. He doesn’t speak in public often and cancelled a few interviews he was supposed to do the previous day at the last minute. It’s this unwillingness to indulge the celebrity forced upon him, much less maintain a social media presence or take part in viral SNL skits like actors are expected to these days, that has made Phoenix something of an enigma in the industry. It might be tempting to read his public disengagement as some kind of arrogance, but talking to him it’s clear he just doesn’t have that ebullient, I’m-just-pleased-to-be-here Hollywood facade in him, something it’s perhaps strange that we’re suspicious rather than appreciative of. Lynne Ramsay’s revenge thriller You Were Never Really Here. This will hopefully be a less contentious public mention of vegetables for Phoenix than last time, when he proffered a mildly surrealist metaphor of the Oscars as “a carrot, but the worst-tasting carrot you’ve ever tasted in your whole life”, which led to him reportedly being sidelined for an awards season push, only serving to confirm his suspicion that speaking often in public may not be the best career, nor life, choice. Squirrelled away in a nook atop the Hollywood Hills, Phoenix lives a “pretty normal life”, unhounded by paparazzi, so for him, stepping off a plane to a ton of flashbulbs before being shepherded into a hotel ballroom to sit, The Last Supper-esque in front of rows of international press is a “wildly different experience” and a bewildering one. He asks me if I ever have to do press conferences and I confess that I’ve been but have never asked a single question at one given how peculiar they are and how palpable the awkwardness is. Amplified or not, his voice is an unmistakable one. With a slacker-y cadence and slightly hoarse, faltering timbre, it’s more befitting of a cult leader than a leading man, and his appearance is also pretty un-Hollywood, Phoenix today wearing a scruffy black jumper, black jeans, Converse and goofy white socks with pirates and hearts on them, an unplugged set of entry-level iPhone earphones thrown around his neck. My interest is in how Phoenix feels about having given over so much time and so much life to the “mockumentary”, which saw him pretend to feign a public breakdown and simultaneous foray into rap music over many months, only for critics to be disappointed rather than impressed when they discovered he’d been “faking” it. 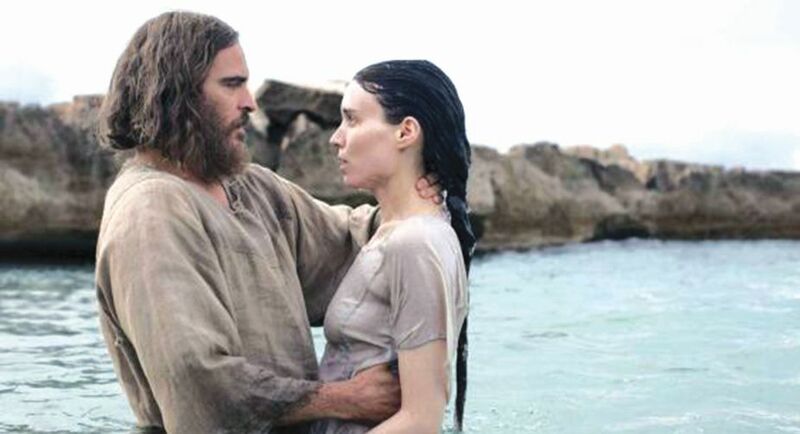 With Rooney Mara in Mary Magdalene. Something Phoenix is happier to talk about is his dogs. He has two rescues, and it occurs to me that a rescue dog might be a nice descriptor for his acting, the men he plays often looking tough and remotely dangerous but possessing a sadness and humility. One of his dogs, who he charmingly refers to as his “girl”, greets him in the morning by leaping up onto the bed, standing over him and licking his face, just delighted that he’s awake. “My favourite thing is just when they’re out exploring on their own,” he says. “I’ll creep around the house and just watch them, wondering like, ‘What is their little internal life? What are the things they’re after?’” It’s probably not a coincidence that these animals that he so loves are incapable of viewing him as a celebrity. Happy though as he may be living a quotidian home life, Phoenix was anxious to get back to work after taking two years off, and this year will star in four films, a career first. 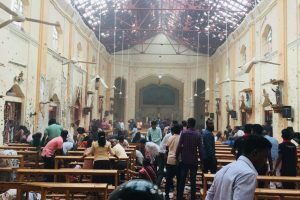 “I didn’t think I’d be able to do it,” he says of the punishing shooting schedule, which saw little downtime. Mary Magdalene was first off, appropriate for his messianic return to cinema as he plays Jesus Christ, with Lynne Ramsay’s excellent revenge thriller You Were Never Really Here, a biopic on quadriplegic cartoonist John Callahan called Don’t Worry, He Won’t Get Far On Foot and Western dark comedy The Sisters Brothers following. The eclectic nature of these projects got him through, all of which met the stringent vetting process of an actor so revered he must be offered pretty much every role going. “I’m really specific and careful about the movies I choose to do. I don’t ever wanna feel like I have a job that I have to do, I wanna wake up and want to get to set early because I’m excited to dig into the work.” Phoenix clearly loves acting and loves to talk about it. 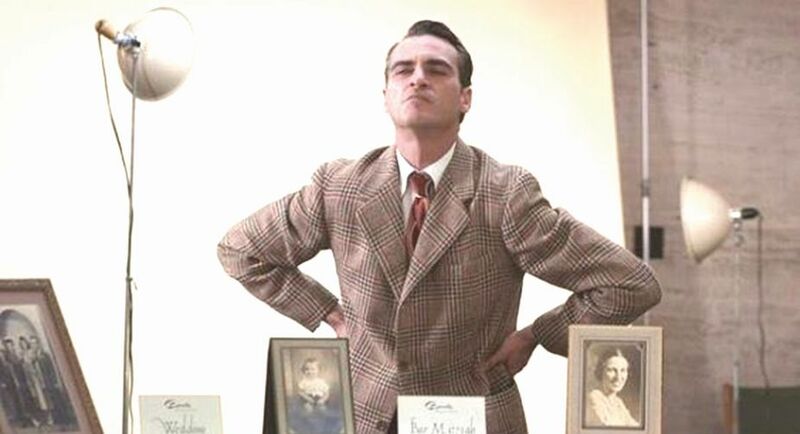 Phoenix as World War II veteran Freddie Quell in The Master. Mary Magdalene certainly seems to have done this for Phoenix, it leading to a relationship with the film’s lead, Rooney Mara. And but so the films he picks are always about the role? The director’s rep and filmography alone aren’t enough to get his signature (as many actors have told me of their own choices)? Coming off the back of You Were Never Really Here in which he plays a monolith of a man — the type of physique where excess fat obscures the muscles but you can still tell that he could have your head doing 800rpm on your neck if he punched it —Phoenix was put on a “brutal” 300-calories-a-day for Mary Magdalene and this was in Sicily, “where you just wanna roll out and eat some good pasta and have a glass of wine”. 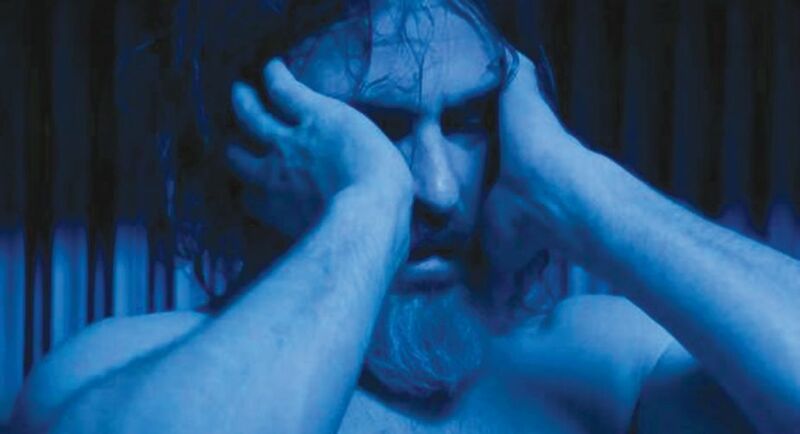 He got down to Biblically emaciated in time for production and gave another consummate performance, the film ruminating a-religiously on the nature of faith in a similar way to Martin Scorsese’s Silence. The film, which, true to form, he hasn’t seen, afforded him more of the moments he seems to be searching for in his line of work, where director and actor are working in complete harmony, where creativity is unbridled and and everything operates on feel. For want of a less prosaic term, it’s about being in the zone. “There’s just no one like him,” he says of Mary Magdalene director Garth Davis. “There’s such a sensitivity and consideration and appreciation for what everybody does, he reveres acting or at least he makes you feel that way, and so he’s super-perceptive. “Then on this one take, for whatever reason I just really felt Tahar’s (Rahim, Judas) performance, I was really caught up in the moment, and when he left I turned and I wanted Mary to just come in so bad. 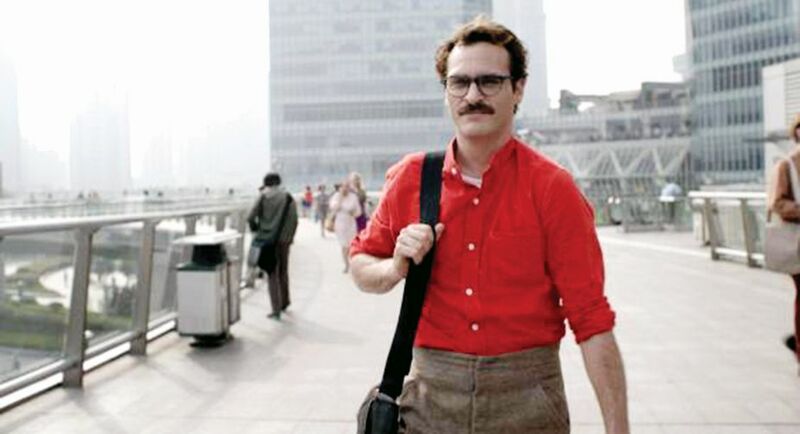 As Theodore Twombly in Spike Jonze’s Her.